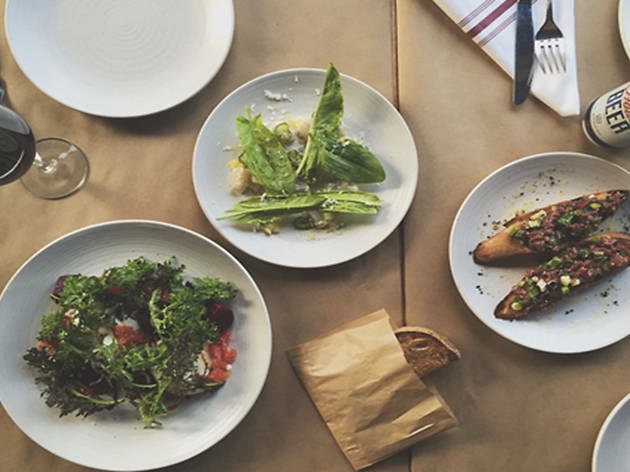 With an abundance of Italian restaurants in this city, Angelenos need not look far to get their fix of olive oil-doused antipasti, meaty roasts, comforting bowls of carbs—and of course, plenty of pizza. (Maybe even some gelato for dessert?) But certain spots really take the cake—er, canoli, as it were. 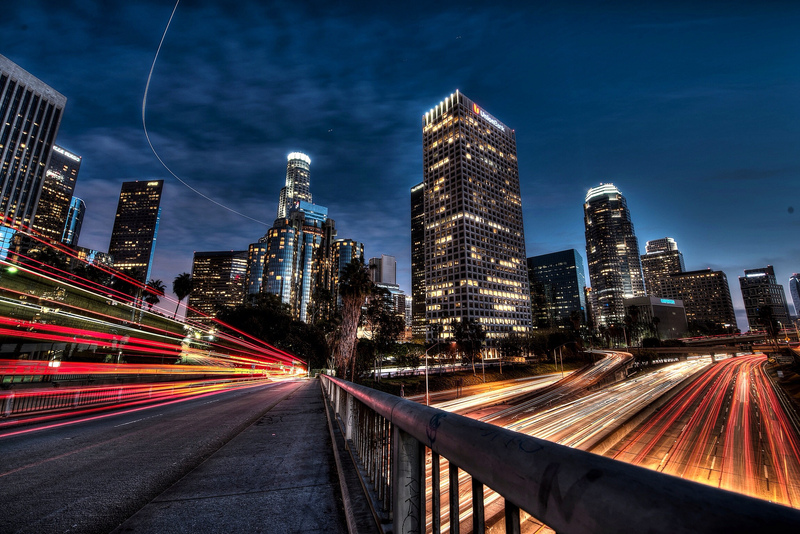 Here, we round up L.A.'s best Italian restaurants that go beyond your average ho-hum red sauce joints. Buon appetito! 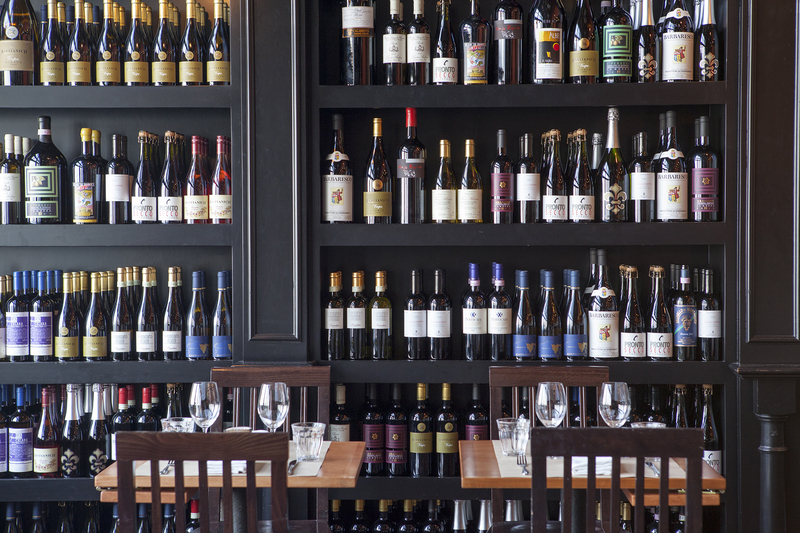 Ori Menashe's Downtown Arts District spot sets the standard for what dining out can mean in this town: Perfectly-crafted cocktails and a condensed selection of great, lesser-known wines meet not-too-fussy plates that wow. The house-cured salumi is a reason alone to visit, but the open kitchen nails preparations from light (house salad and crudo are a balance in flavors) to soul-satisfying (everything that comes out of the wood-burning oven and outstanding pastas). 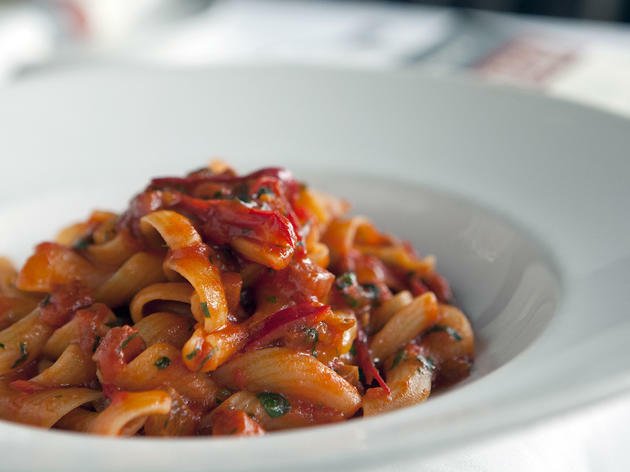 Highlights include braised beef cheek-filled agnolotti and spaghetti rustichella, spicy pomodoro sauced with buttery uni. This Melrose and Highland culinary corner has grown into an empire that spans a pizzeria, to-go counter and retail shop, and recently opened salumeria. 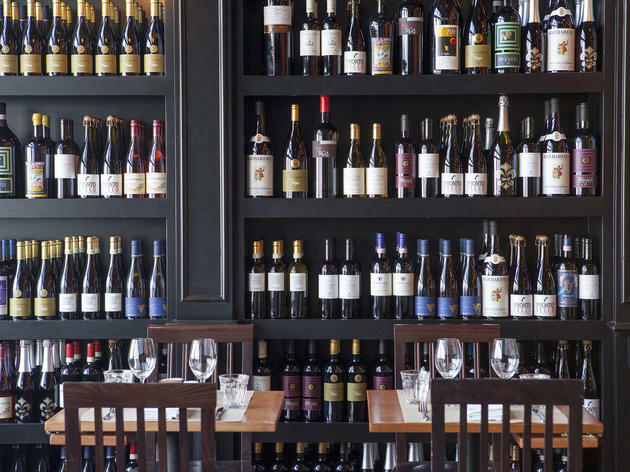 The fine dining star, Osteria, continues to pack tables, offering exceptional Italian food (and an encyclopedic wine list). But the heart of the restaurant is Nancy Silverton's mozzarella bar: More than a dozen small plates showcase the handcrafted varieties from cream-filled burrata, dressed with tangy leek vinaigrette and mustard breadcrumbs, to spongy bufala with lemon bagna cauda and umami-rich bottarga. 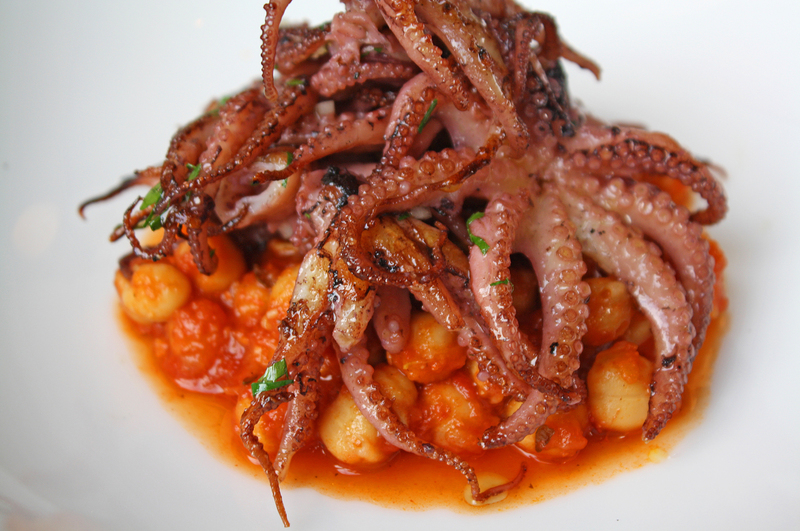 Load up on antipasti to share—the grilled octopus is a must with charred, tender tentacles delicately dressed with lemon, celery and potatoes—and pace yourself through courses of refined, handmade pastas and rustic, meat-heavy main plates. Dessert deserves a visit in its own right with an ever-changing selection of seasonal gelati and just fancy-enough torta della nonna, the envy of any Italian grandmother. This neighborhood Italian spot in Silver Lake from Sotto's Zach Pollack serves up refined versions of classic dishes with unique twists, thanks to Pollack's creative blend of techniques and influences that leave you expecting one thing and tasting something entirely different. Try the cracked emmer salad with paper thin radishes and gobs of pecorino scattered around a bowl of fluffy farro; or the bagna caoda DOP, a traditional Italian dipping sauce, features a simmering pot filled with broth made from anchovy paste, garlic, oil and butter, and is surrounded by raw vegetables, grilled bread and a single egg. Though if there is one dish to come here for, it is the tortellini in brodo, a fascinating hybrid of the classic pasta and Chinese soup dumplings. 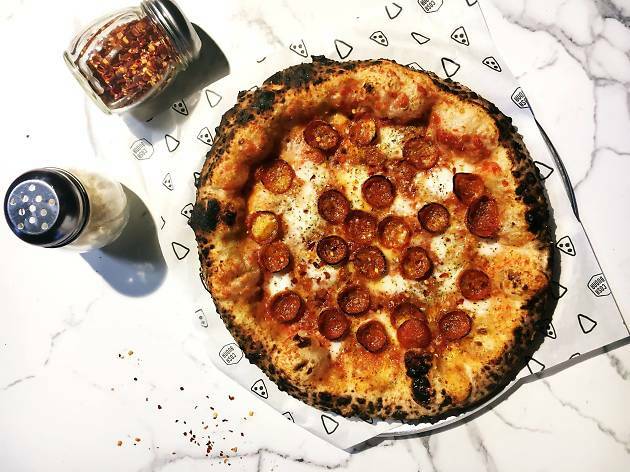 Chef Zach Pollack is back again with Cosa Buona, a restaurant that celebrates Italian-American cuisine and the modern pizzeria. 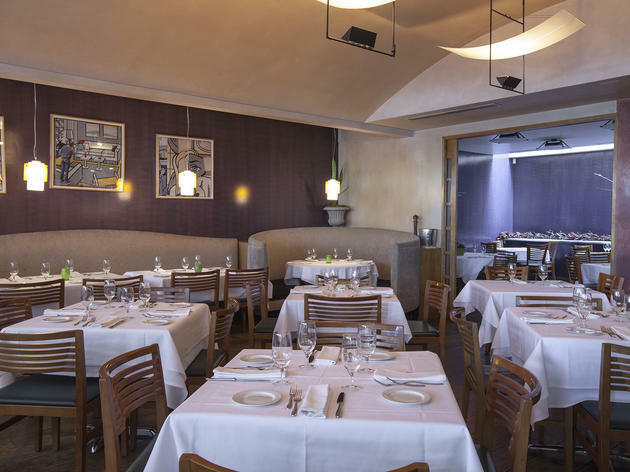 Housed inside the former Pizza Buona space which dates back to 1959, Cosa Buona continues to showcase Pollack’s inspired Italian dishes with an L.A. sensibility. 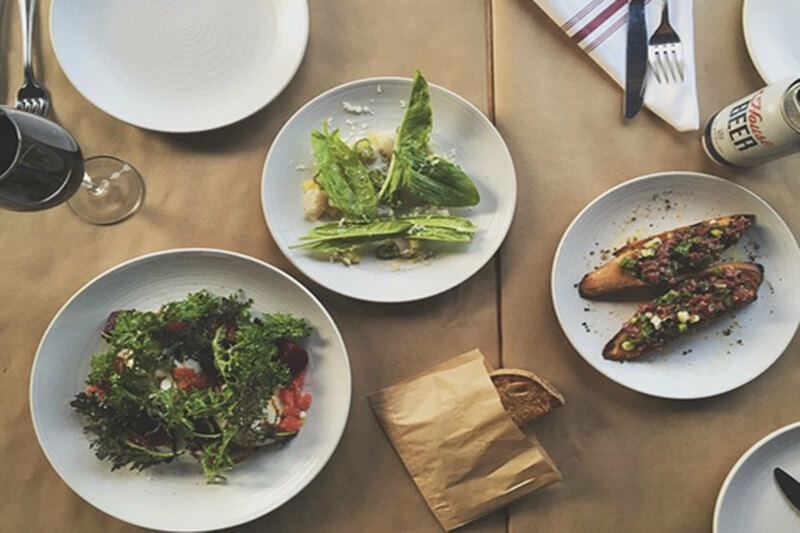 Here, Pollack’s focus turns to expertly crafted antipasti, salads, and pizza, as well as a selection of both classic and playful interpretations of Italian sandwiches available for both lunch and takeout. 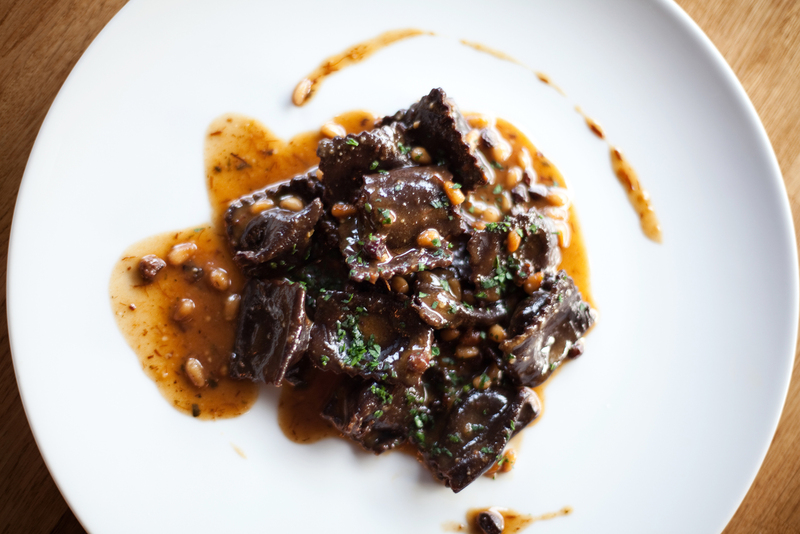 Served in the restaurant’s convivial atmosphere, Pollack’s menu emphasizes the best versions of familiar favorites by using mindfully sourced ingredients from local artisans and growers complemented by a selection of natural wines from Italy and France. 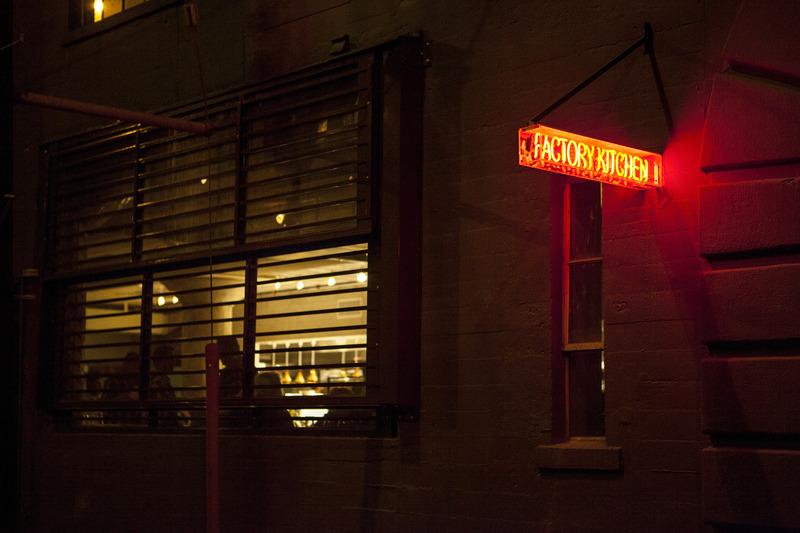 At The Factory Kitchen, the pasta is exceptional—but so is everything else which, to be clear, is not so standard at all. 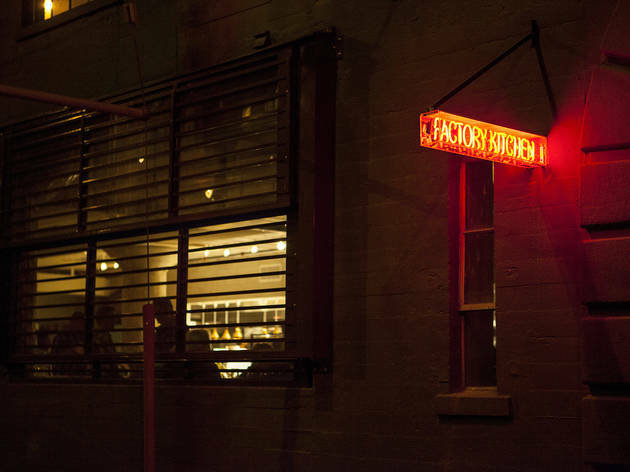 As the latest venture from owner Matteo Ferdinandi and executive chef Angelo Auriana, The Factory Kitchen focuses all of its efforts on the food and almost none on the decor. Cement floors and peeling pillars blend into the background as servers in checkered-shirt uniforms bring out one excellent dish after another. There are many stand-out options to start with—the pancotto, a sunny-side up duck egg over red potato vellutata and sautéed greens; the frittura, beer battered chickpea and baby leek "fries"—but here is what you need to know about the menu: The best thing on it is the focaccina calda di recco. To say that the flatbread (though it feels like a disservice to call it that) is the best thing is not meant to lessen the restaurant's credibility. It's just that it is damn good flatbread. There are a few versions offered, but the tradizionale with crescenza pooled in the middle and a splash of olive oil is all you need to appreciate what is happening. 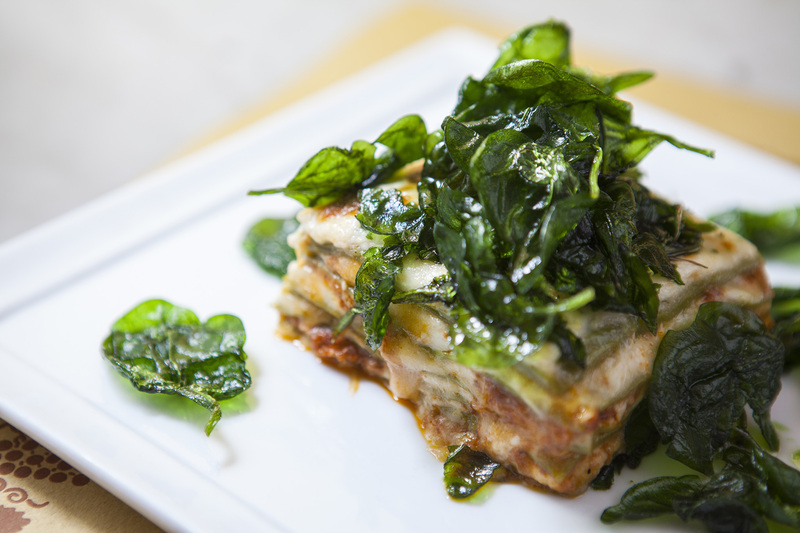 This casual, family-friendly Italian restaurant in Larchmont Village is as much of a place for dinner as it is for a lazy Sunday brunch or a glass of wine with friends. The kitchen (with chef Cameron Slaugh at the helm) uses seasonal, local ingredients to create classic Italian dishes: pizza, pasta, paninis, dry-aged rib eye, seafood and more. On Sundays, diners flock here for the polenta-ricotta skillet cake and Maria Verde, Osteria La Buca's modern take on the classic Bloody Mary. Two weeks after Mozza’s newest restaurant, Chi Spacca, opened its doors, the house-cured, two-year aged Prosciutto di Los Angeles sold out. Now, Angelenos have to wait a year for the next batch, two legs currently curing at the Melrose and Highland space. The popularity of the salumeria, the city's first certified dry-cure program, is a result of years of trial and error from chef Chad Colby. Colby perfected his cured meats during Mozza's weekly Salumi Nights, which has grown into its permanent dinner-only restaurant. 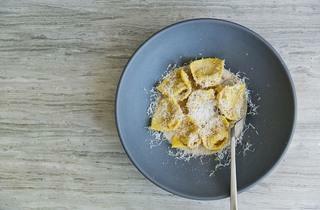 And Chi Spacca is a gloriously simple restaurant. Bearing aesthetic similarities to its next-door sibling Osteria Mozza, the uncomplicated menu and space are less ambitious, but just as tasteful. The cozy, 30-seat dining room is presided over by an open kitchen where Colby plates his perfected cured meats and fires meats from the olive wood-powered hearth. 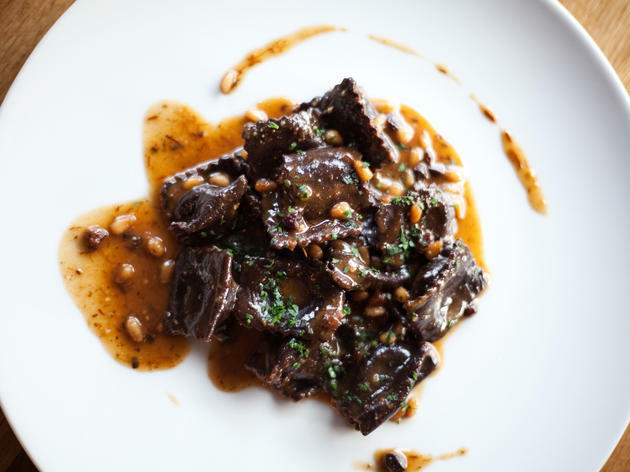 Wonderful oxtail-like, braised lamb neck, sitting in a deeply-flavored puddle of its own braising jus, is soft enough to cut with a spoon and could convert any vegetarian to the meat-centric menu. Adventurous diners will want to try the beef and bone marrow pot pie and porchetta—Colby’s version serves four and is made with unctuous, whole duck rolled in spices. Chi Spacca could easily be the city’s most appealing (and most popular) date spot—its comfortable, dimly lit room and prompt service will appeal to many. It’s no surprise then that tables book up a month in advance. 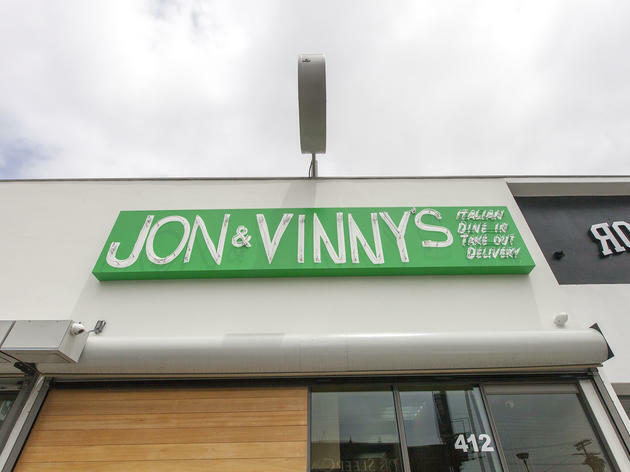 As Jon Shook and Vinny Dotolo’s first namesake restaurant, Jon & Vinny’s harkens back to the food both chefs grew up with, Italian-American comfort food that conjurs up images of red-checkered tablecloths and Nona stirring pots of bubbling tomato sauce. There aren’t red-checkered tablecloths—the whole restaurant is sleek and awash in white oak that evokes a Scandinavian feel (the giveaway that we’re in LA: ‘90s R&B blasting). There is tomato sauce, though. It’s served over three large meatballs, exceptionally seasoned and flanked by ricotta and some fantastic slices of garlic bread. It’s served on pizza, too, of which the most popular at Jon & Vinny’s is the LA Woman, a simple pie topped with burrata and basil and a sprinkling of sea salt. 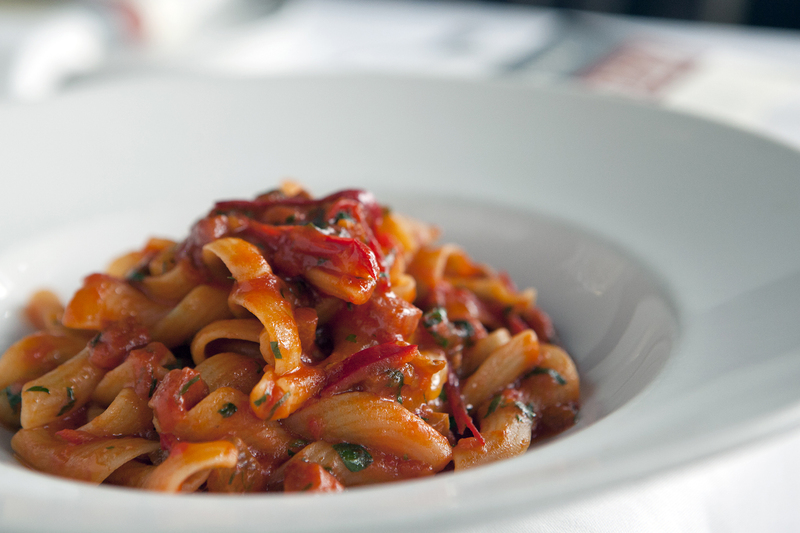 This Brentwood trattoria maintains its status as one of the best Italian bets on the Westside. Regulars, and the occasional celebrity, count on this neighborhood standby for traditional plates using top-notch ingredients. 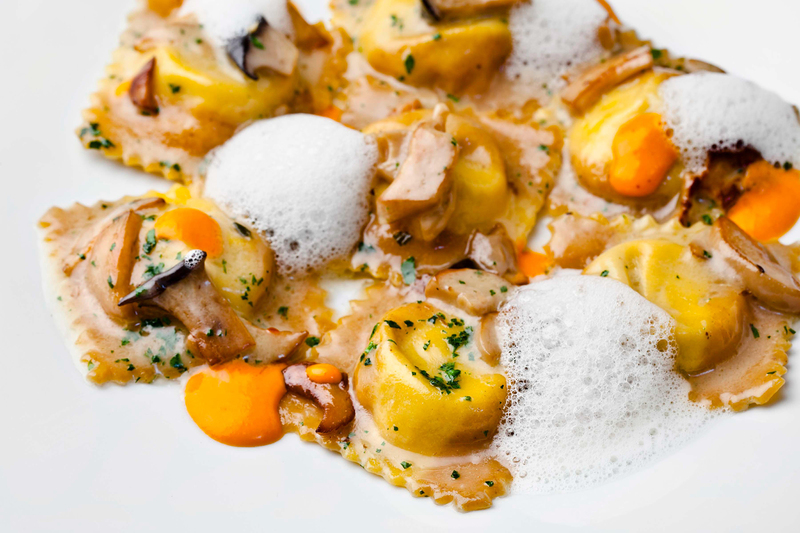 Black truffles jazz up otherwise rustic dishes like tripa alla Parmigiana of braised veal tripe and ossobuco-filled tortelli that's finished with the funky funghi. 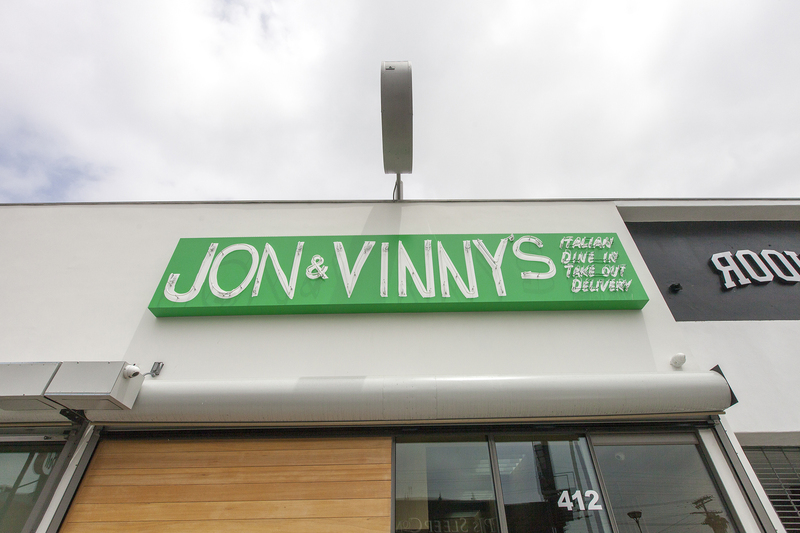 The wood-burning oven finishes hearty orders of New York steak, housemade pork sausage and Monday night-only pizzas. With preparations this good, we don't mind paying Brentwood prices. 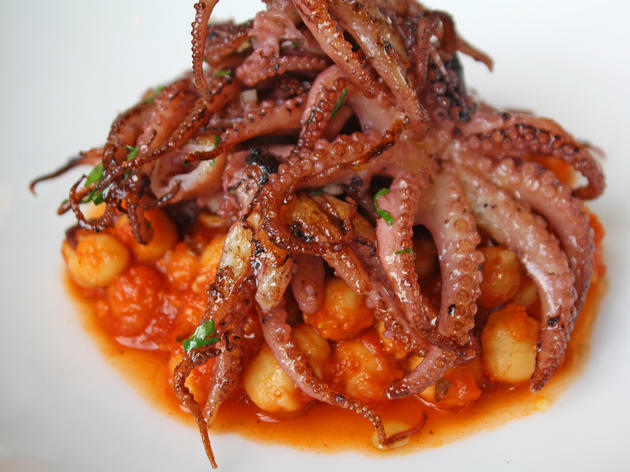 Angelini Osteria is going a decade strong as the city's most beloved Italian institution. What's not to love at this no-frills space that packs in diners devoted to the cooking of Emilia-Romagna–born chef Gino Angelini? Praises abound for branzino that's salt-crusted and roasted whole, and weekly specials like Saturday-only porchetta, stuffed with garlic and herbs and finished in the wood-burning oven. 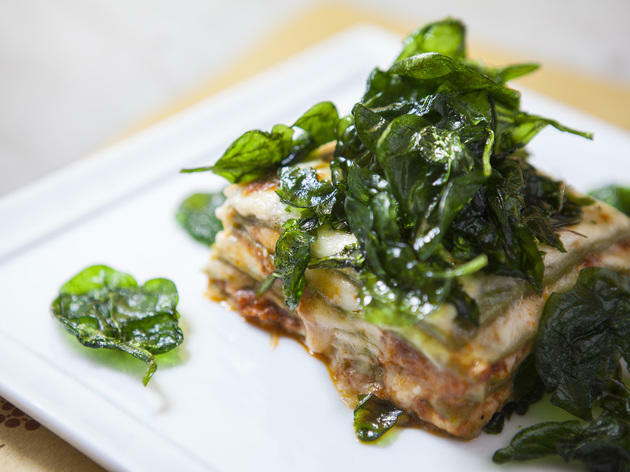 Pastas have cult followings here—try the signature Lasagna Verde "Omaggio Nonna Elvira" that pays tribute to the Old World with beef and veal ragú and handmade pasta layers, topped with wilted spinach. Chef Vic Casanova, formerly of Culina at Four Seasons Beverly Hills, brings his New York-bred culinary chops—he trained with top toques Daniel Boulud and Cesare Casella—to set up shop a stone's throw from the Beverly Center. Small groups and date-nighters squeeze into the tiny space to dine on elegant renditions of comfort foods such as braised tripe with tomato, mint and Pecorino and deftly-made pastas including addictive tomato-based tonnarelli and bucatini carbonara, a creamy mix of egg yolk and guanciale. Seasonal specials like winter greens mixed with tart apples and toasted hazelnuts make appearances alongside the abbreviated bill of fare. For dessert: Decadent chocolate budino and toasted coconut gelato pie are tied for the ultimate ending. 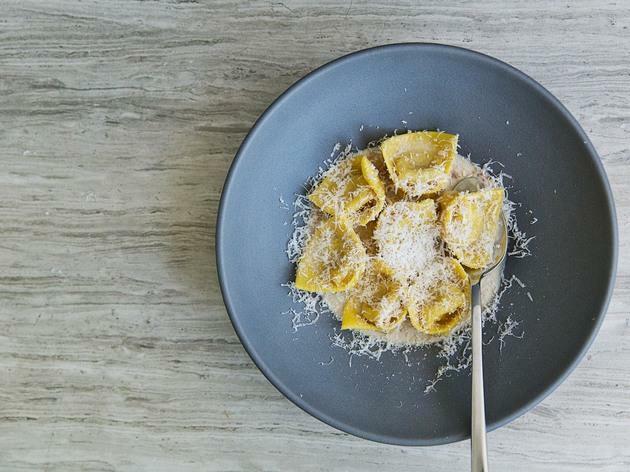 The most fancy-pants of Celestino Drago's roster of Italian eateries, this Downtown outpost is a go-to spot for L.A. power lunches. The three-course, prix-fixe lunch is a steal, while those on an expense account can splurge on a five-course tasting menu with optional wine pairing. 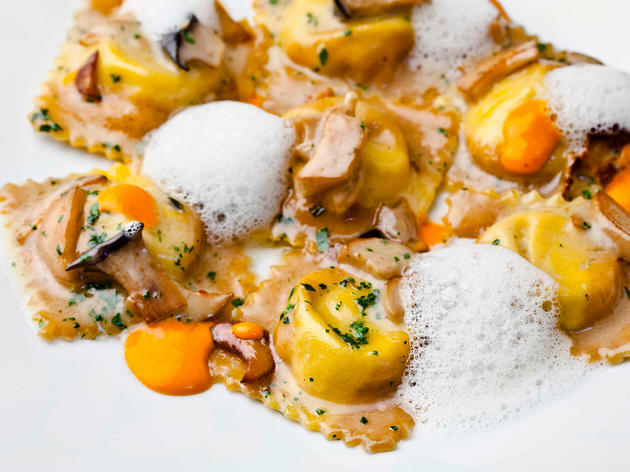 The kitchen rolls out exquisite, freshly-made pastas of different shapes and sizes from pillowy ravioli filled with mushroom and ricotta and toothsome pappardelle, adorned with morels and tender pieces of pheasant. 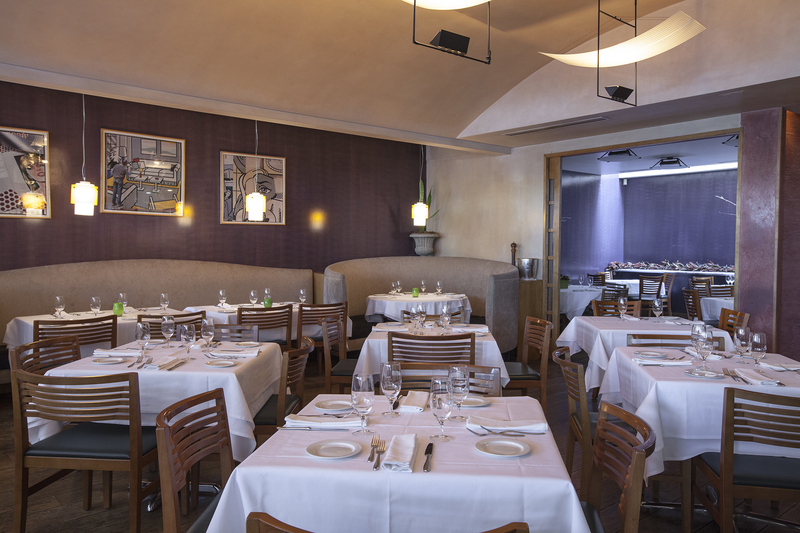 Surf is just as masterful as turf with thoughtfully dressed and thoroughly updated plates like chile-foam-topped seafood cappuccino, and tuna with garlic risotto cake, sunchoke and pomegranate mustarda. The molto modern dining room isn't much to look at, but the dead-on view of the architecturally stunning L.A. Public Library across the street more than makes up for it. 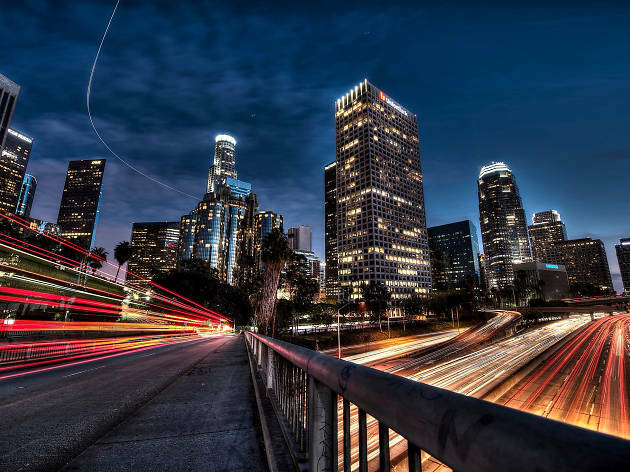 Downtown is a worthwhile destination for tourists and locals alike, whether to check out the museums and cultural institutions atop Bunker Hill, restaurants and bars in the Historic Core or concerts and sporting events in South Park.